What do Michelle Kwan, Simone Biles and Jenny Simpson all have in common? Besides them being obvious powerhouses within their fields, they share the same risk when it comes to succumbing to the “Female Triad”. Figure skating, gymnastics and long-distance running are the top three sports to produce female athletes with low energy availability (with or without eating disorder), menstrual dysfunction and decreased bone density. Low energy availability can come in two ways: inadequate caloric intake caused by restriction (anorexia nervosa) or expending more energy than the body can tolerate at one time. It is usually measured with regards to Body Mass Index (BMI) and/or a detailed history of nutrition. Bone mineral density is crucial for decreasing risk of fracture, osteoporosis and osteopenia. For most women, peak density is reached by age 18 and can only be lost or maintained after that point. Exercise and nutrition play significant roles in doing so. So, how do we keep this from happening to women? The simple answer is: We work as a team. Realizing that studies show over 50% of women are concerned about their weight after sustaining an injury and sports that encourage leanness and judgement regarding superficial characteristics are more at risk. Family supporters, coaches and healthcare professionals have to be aware of the signs and work together with the individual to overcome the physical AND mental aspects of this disorder. 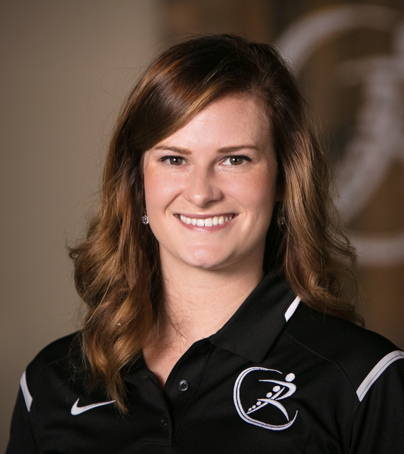 Morgan works at the Mount Vernon, IN office and provides detailed running analysis for patients and incorporates various techniques for running correctives.